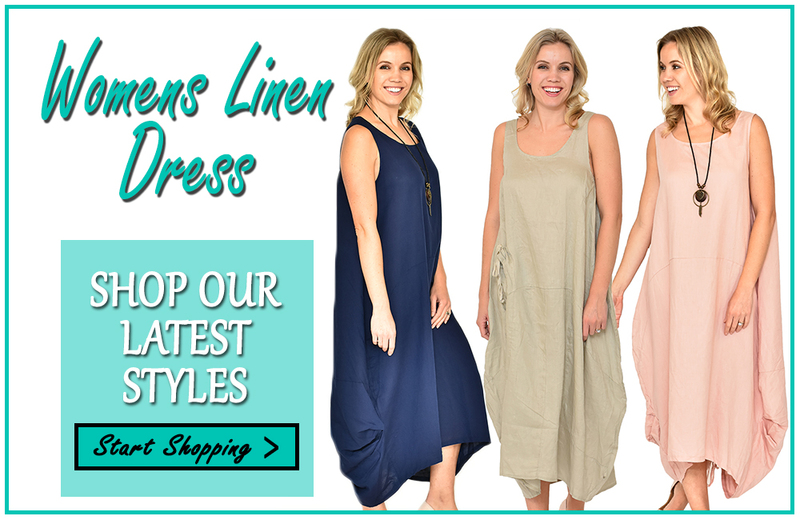 Looking for the perfect womens linen dress? Look no further than our latest arrivals from Cali&Co. A beautiful range of linen dresses and tops in gorgeous pastel and vibrant colour waves has just arrived and can be shopped online at Esteem’s Boutique now. Linen is having a real comeback this season. The trend has been given a refresh with modern silhouettes and timber accents, and our range is designed to leave you feeling relaxed, cool and comfy without compromising on style. Relaxed silhouettes and natural button accents combine with quality linen/cotton blend fabric to create a stylish womens linen dress and top range that is very on trend this season and will stand the test of time in your wardrobe. These timeless, classic pieces can be worn effortlessly and styled to suit so many occasions – these pieces will be your new wardrobe go-to’s for those nothing to wear situations. Shopping online at Esteems Boutique is secure and easy. We are an Australian owned and operated company and are happy to answer any questions you may have over email at [email protected] or over the phone on 0403677718. You can shop online at esteemsboutique.com.au or we can take your order over the phone if you would prefer this. Items are posted the next day and you can shop confidently with an easy, hassle free returns policy on items that aren’t quite right. View our entire range of womens clothing, shoes and accessories today. Esteem’s Boutique is an Australian online store offering stylish and affordable women’s clothing and accessories to suit a variety of figures and lifestyles. Sizes 10 – 22. Natural Fabrics. Fast delivery. Simple returns. Shop online today!